For 1965 - 1968 Chevrolet Impala Base. Computer precision cut for a custom fit, it reduces inside temperatures up to 40 degrees Fahrenheit. Custom Auto Shade - Gold. Product View. Installs In Seconds. 1966-1970 Chevrolet Impala Convertible. Pair of Black Sun Visors. PAIR of Black Madrid grain vinyl sun visors. Full Size Pontiac Convertible. For 1965 - 1968 Chevrolet Impala Base. Premium Auto Folding Shade. The multi-layered construction reduces the inside temperature by as much as 40 degrees Fahrenheit. Product View. Intro-Tech Bubble Custom Car Sunshade For 1965 - 1968 Chevrolet Impala Base. Computer precision cut for a custom fit, it reduces inside temperatures up to 35 degrees Fahrenheit. It protects leather seats from becoming hot and cracking while keeping the steering wheel and shift knob comfortable to the touch. Fits either driver or passenger side. Sold individually. 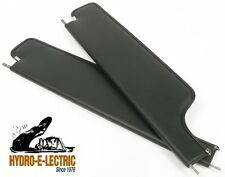 Hydro-E-Lectric has been providing quality made products since 1976. Sun Visor Supports with Mounting Hardware. New Reproduction Sun Visor Supports / Brackets. 1965 - 1973 Chevy II / Nova. Quality Materials reduces clamp breakage which is common with other reproductions ! Neshanic Station, NJ 08853. Serving the Hobby Since 1973. Another Quality Reproduction fromCARS. Made in U S A. 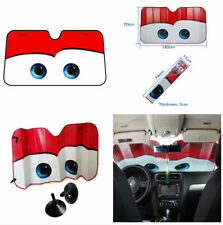 Sun Visor Mount / Support - QTY 1. New Reproduction Sun Visor Support. Quantity 1 Sun Visor Support. 1965 - 1973 Chevy II / Nova. 1965 - 1970 De Ville / Fleetwood / Calais. 1965 - 1972 Full-size: Catalina / Bonneville / Parisienne. Muscle Parts Now is not affiliated with Buick. These imperfections will easily be corrected during the initial filling, priming and sanding of your repair or restoration. Minor modifications such as elongating mounting holes, adding shims, etc, are normal and may be necessary when you are installing the product. 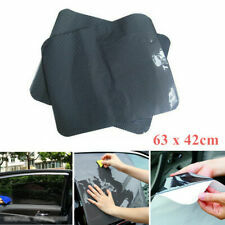 Sun Visor Mounts / Supports - 1 Pair. New Reproduction Sun Visor Supports. Replaces GM # 7739850 & GM # 7790753. Better Fitting Reproduction - even better than O.E. - GM. 1965 - 1973 Chevy II / Nova. This no-exceptions policy ensures the quality of the components you receive. Does not fit convertibles. AUTO UPHOLSTERY HEADLINER FABRIC IDEAL FOR REPLACING YOUR CAR, TRUCK, AND MINI VAN HEADLINER! This is a High Quality 100% Polyester Knit Headliner Foam Backing and has a Very Soft Finish on the Face of the Fabric Ideal for Car and Truck Cab Headliner replacement and also Great for Lining Gun Lockers,Hunting Cabins, Box Stands and Gun Blind interiors. It is also well suited for the Front of Foam/Mesh Ball Caps, and anywhere else were a Polyester Knit Face and Foam Back Upholstery application is desired. Width: 60" . Our headliner material is designed to restore any vehicles interior. If you require restoring any old sagging headliner then this headliner fabric is the one to use. Ideal for use in most automotive industry including cars, caravans, classics, yachts, motor homes, recreational vehicles. This is a High Quality 100% Polyester Knit Headliner Foam Backing and has a Very Soft Finish on the Face of the Fabric. Sun Visor Supports with Mounting Hardware. New Reproduction Sun Visor Support / Bracket. 1965 - 1973 Chevy II / Nova. Quality Materials reduces clamp breakage which is common with other reproductions ! Qty 2 unique sun-visor Clamp Retaining Screws. Sun Visor Support Mounting Hardware. 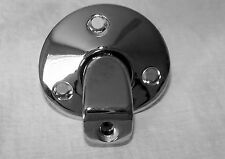 Reproduction Sun Visor Support / Bracket Mounting Hardware. 1 Kit does BOTH sun visors. Kit Includes This is the Hardware ONLY.